Home Family Law Benefit of Using an Attorney In A Family Law Matter. Benefit of Using an Attorney In A Family Law Matter. There are many people who will go through the divisive issues of family law, and not need an attorney, with one major reason being that both parties were able to come to a mutual agreement and understanding, without the involvement of any outside influence. On the other side of the spectrum, there are two main reasons why individuals who have children involved and are not able to communicate with each other to come to a mutual resolution regarding those children, should take up the counsel of an attorney. These two reasons are education and peace of mind. The education that you gain from an attorney during a family law case, not only helps you while you are going through the case, but it also provides you with guidance of how-to carry-on after the case is over. Education and peace of mind pour over into each other, education provides understanding and understanding provides peace of mind. It is the disconnect in the communication of the involved parties that tends to create tension that is experienced in trying to make sound decisions for the family. 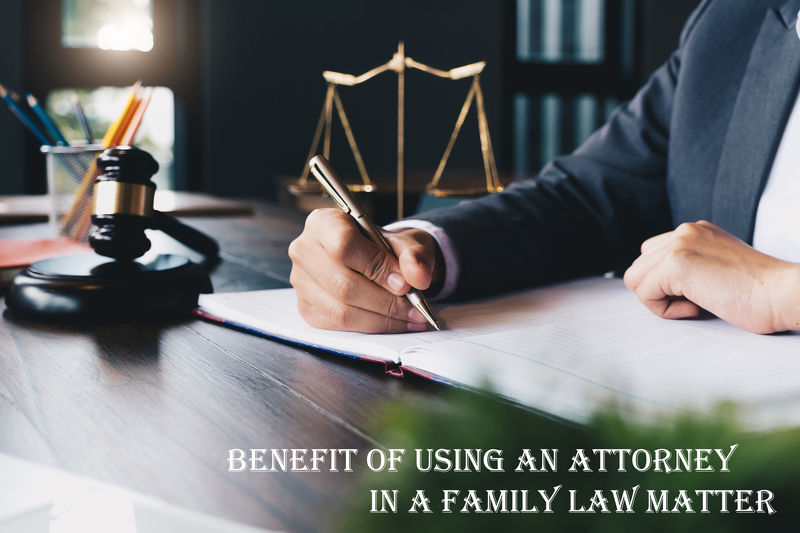 When using an attorney, an individual is able to have the rules and understand the rules of family know, which enables them to gain clarity of what this new life will be with their family. This clarity allows them to have the tools necessary to adjust to this new way of living and loving within their family.